ARRRRR! 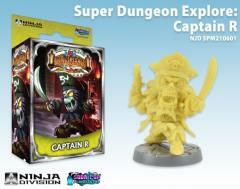 The shores and seas of Crystalia are ripe for plunder and where the loot is, Captain R is sure to be found. Such is this legendary pirate’s greed that not even death could keep him from his beloved treasure.